Microsoft Chief Financial Officer Chris Liddell plans to leave the company at the end of the year after managing the software giant's finances for nearly five years, Microsoft said Tuesday. The company did not say what Liddell plans to do next. In a press release, Microsoft said he is looking at a number of opportunities that will allow him to expand his career beyond being a CFO. 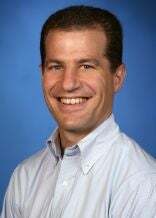 Liddell will be replaced by Peter Klein, who is currently CFO of Microsoft's Business Division, where he manages the financial strategy of the US$18.9 billion business. Klein has worked at Microsoft since early 2002. Liddell's departure is a surprise given that he has been with Microsoft less than five years, said Matt Rosoff, an analyst with Directions On Microsoft. "He was respected by the investment community," he said. "He was there at the unfortunate time when the economy hurt earnings, but I can't imagine he'd take any blame for that." Microsoft's explanation for Liddell's departure might indicate he is looking for a CEO position, Rosoff said. "There's not much chance he would ever be in the top spot at Microsoft," he said. Before working at Microsoft, Liddell had been CEO of Carter Holt Harvey, which was then New Zealand's second-largest listed company. Klein joined Microsoft in February 2002 and was CFO of its Server and Tools Business for three years before taking the same job at the Business Division. Before that he worked for 13 years in corporate finance, for McCaw Cellular Communications, Orca Bay Capital and HomeGrocer. Microsoft has been hiring outside talent more often than it used to, and the company probably searched externally as well as internally before selecting Klein, Rosoff said. Microsoft credited Liddell with helping reduce its costs over the past fiscal year by $3 billion compared with its original plan, and returning $14 billion to shareholders through dividends and stock buybacks.